When the plans for the annual pumpkin decorating contest are smashed, Nancy Drew and the Clue Crew are on the hunt for a Fall Festival felon. It’s autumn in River Heights, and that means it’s time for the annual Fall Festival! Nancy, Bess, and George are excited for a whole week of games, rides, delicious treats, and the famous pumpkin-decorating contest. They are all participating for the first time this year! But the day the girls are set to compete, all the designs for the contest are stolen and the decorating supplies are destroyed. If the culprit doesn’t come forward, the contest will be canceled—and a River Heights tradition will be ruined. 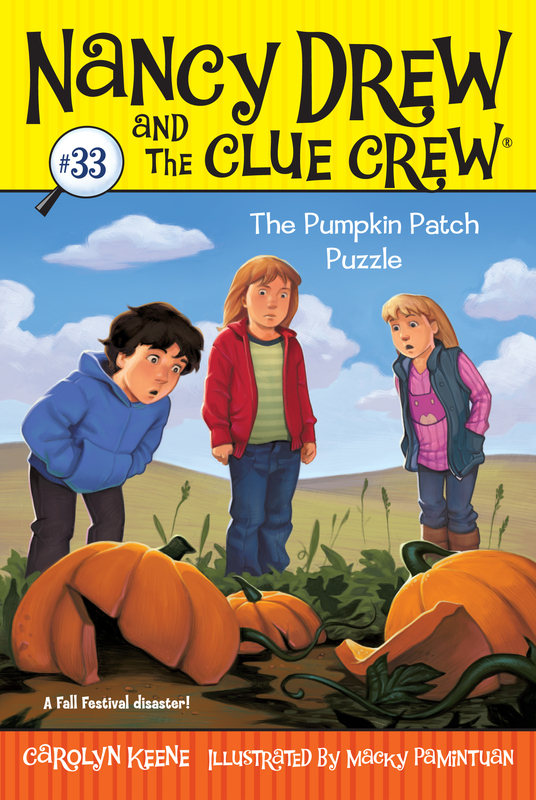 It’s up to Nancy and the Clue Crew to solve this pumpkin patch mystery!